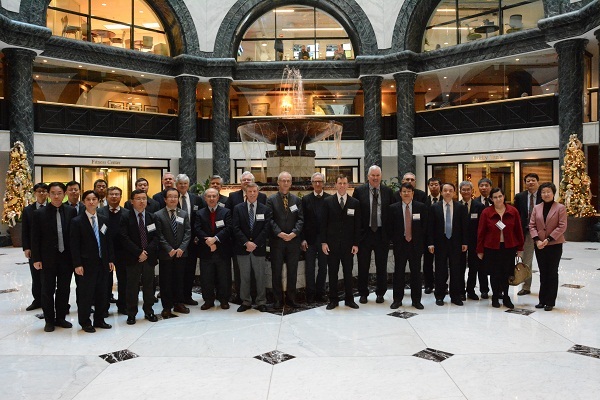 The Thirty-Seventh Meeting of the US-PRC Joint Committee for Cooperation in High Energy Physics was held in Washington, DC, on December 19–20, 2016. The U.S. delegation was led by Dr. James Siegrist, Associate Director of the Office of Science for High Energy Physics, U.S. Department of Energy. The Chinese delegation was led by Dr. Gao Hongjun, Director-General of the Bureau of Frontier Sciences and Education, Chinese Academy of Sciences. The Meeting started with opening remarks from the Co-Chairs, following which U.S. HEP and NP programs were reported by the representatives from the U.S. Department of Energy (DOE) . Presentations on the program status and plans for both IHEP and for SINAP were then presented. Two sides reported the collaboration efforts and activities, covering those from Ali-CMB project，CEPC, Daya Bay and BESIII and then further discussed the proposed items by the science themes covering the accelerator physics and technologies, neutrino physics, astro-particle physics, heavy-ion nuclear physics and hadron physics. In the meeting, two sides agreed the next meeting of the PRC-US Joint Committee on High Energy Physics is to be held in China in November 2017.